Wedding invitations in pink color. 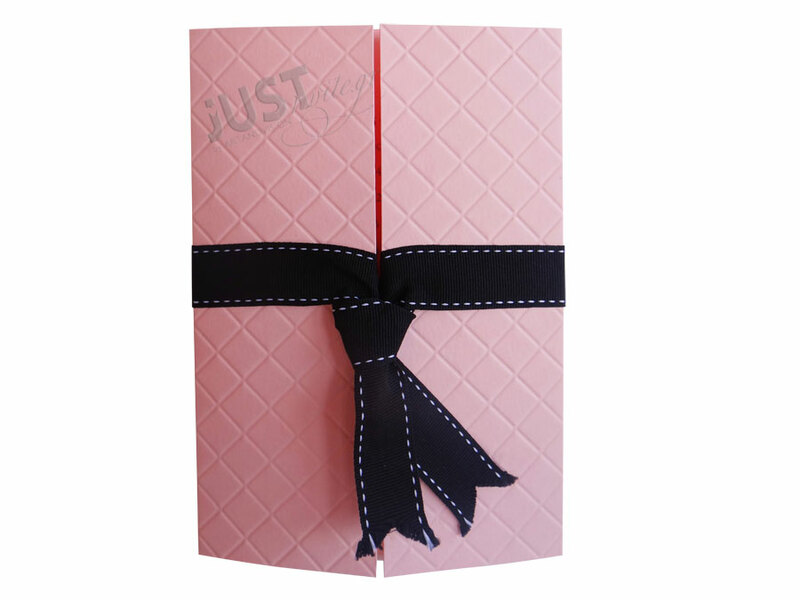 A modern invitation made with an impressive pink gatefold card design and a white postcard insert within. The card ties shut with a black-grosgrain ribbon tie-fashion and a white-stitch finish. Your personalized wording is printed on a black insert. Size: 22 x 15 cm. https://www.preciousandpretty.com/2017/10/pink-wedding-invitations-A1211.html Greek Wedding Favors|Orthodox Crowns|Stefana|Baptism Invitations Pink wedding invitations A1211 Pink wedding invitations, for greek weddings, with a black grosgrain ribbon tie-fashion. Product #: Greek Wedding Favors|Orthodox Crowns|Stefana|Baptism Invitations_4542257819344088832 5 stars out of 5 reviews.